Peruvian Causa Limena is a celebration of Peru’s unrivalled local ingredients. The rich highlands of the Andes are ideal for growing thousands of incredible varieties of potatoes. Causa Limena specifically uses a very waxy potato that is high in starch, so that when it is mashed and whisked it turns elastic. This is then combined with Peruvian chilli Aji and lime juice which combines to create a citric, smooth mash with hint of fruity chilli. Combined with a filling of tuna or chicken mayonnaise, olives and the local it is creamy, rich and ideal for a party. “Cause of the Lime” is the translation. I think this is the most wonderful way to celebrate the cause of the lime (and this one can be made veggie!). It is a dish only eaten on special occasions- it is party food! But we liked it so much and so would recommend eating it any time! local dishes in Peru are not complete without potato. Causa Limena is not exception. Here we need 2kg Potatoes. It is important to use chalky ones so they are really starchy. Maris piper are good UK variety. In Peru, yellow potatoes are used. Boil potatoes with skin on until soft enough to mash. Drain and then peel the skin off with fingers. Mash the potatoes and then add the lime juice and chopped chilli. Knead the potato mixture together to make it really smooth and quite elastic. Leave to one side. Mix the tuna, spring onions, celery, aji and mayonnaise together. Slice the avocado. 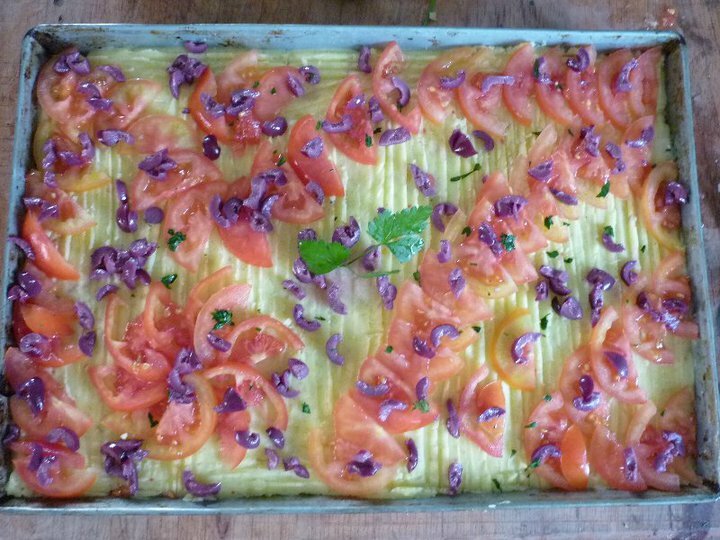 Using a deep edged rectangular baking tray for the Causa Limena, spread half of the potato mixture onto the base. On top of the potato, spread the tuna mixture, followed by the avocado slices. Cover this with the potato mash, as described above. Decorate with tomatoes, olives and coriander as you wish or in tall cocktail glasses for a fancy occasion. Serve Causa Limena in tall glasses or with salad on the side. 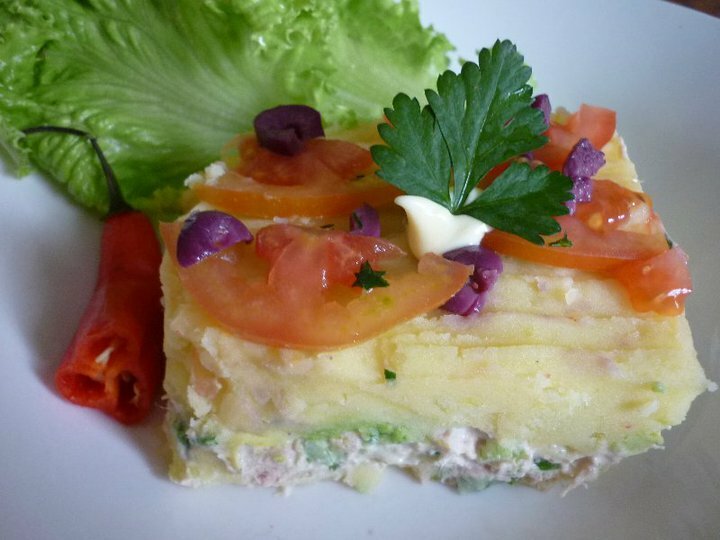 Have you tried Causa Limena? Have another dish from the local area that you would like to share? We’d love to hear from you. Please comment below.